According to Nielsen, the Steve Jobs biography written by Walter Isaacson has sold over 379,000 copies in its first week in the US alone. 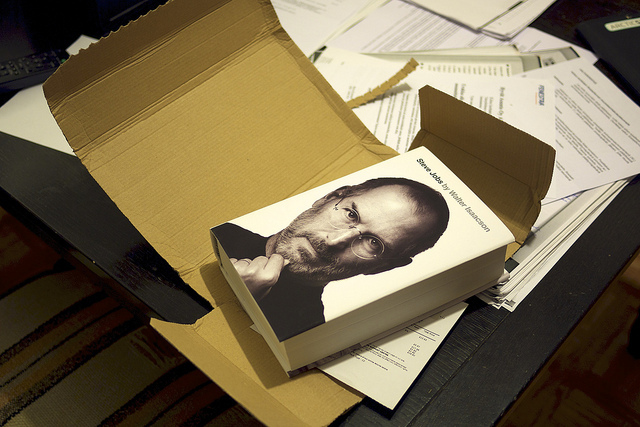 “Steve Jobs” is already the 18th bestselling book of the year, having only been available for six weeks. The book was officially released on October 24th, but has been a bestseller since it was available for pre-order. It hasn’t been since last November, where Jeff Kinney’s “Diary of a Wimpy Kid: The Ugly Truth” and George W Bush’s “Decision Points” sold more copies in under seven days. Along with the 379,000 copies sold in the U.S., “Steve Jobs” has sold over 37,000 copies in the U.K., making it one of the fast-selling non-fiction books ever. The fascination with the life and death of Steve Jobs has been a continual story since his passing on October 6th. Numerous passages were leaked by reviewers, making their way to publications all over the world. The true body of work is still holding our interest though, with the leaks not slowing down sales one bit.